This week we are following Architectural Photographer Joseph Molitor on the 58th anniversary of his 1954 trip. Today is the last day of our three-blog-postings trip through Mississippi with Mr. Molitor. 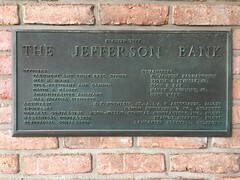 According to Columbia University’s Avery Library Archive, by Thursday February 11, 1954 he had just six buildings left to photograph in Jackson. 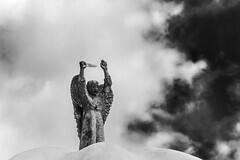 Over a period of nine days spent in-state he photographed 16 specific buildings along with an untold number of unspecified structures for an Architectural Record article. All photos credited to Joseph Molitor come from that September 1954 article. If you are just joining us you can get caught up by reading the Tuesday and Wednesday posts. 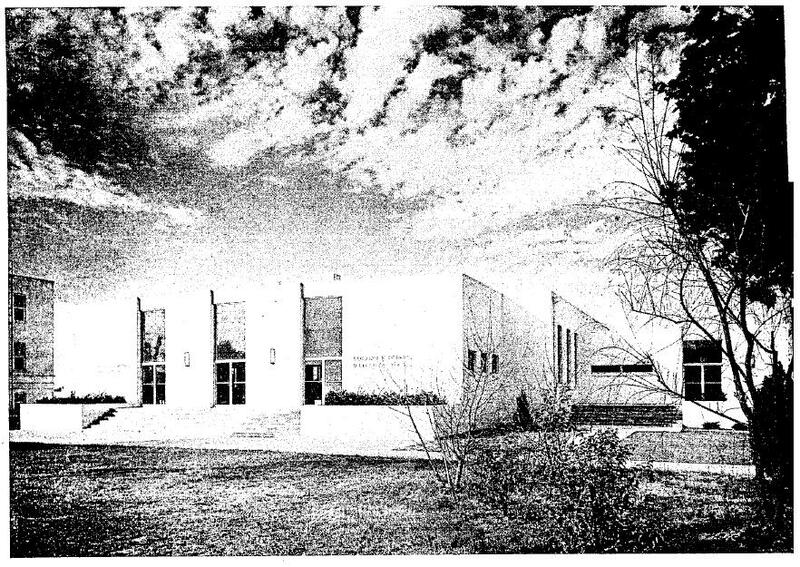 On Thursday Molitor would photograph the Jones & Haas-designed Methodist Children’s Home. The buildings actually photographed were the Methodist Children’s Home Chapel, Auditorium & Dining Hall, and Administration & Clinic Buildings. This part of the complex was constructed from 1951 to 1954. 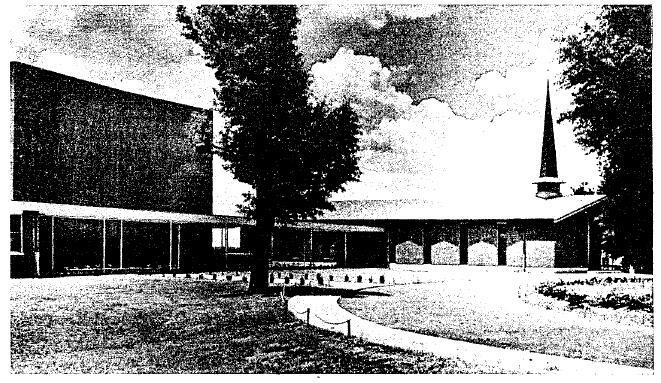 The no longer extant complex was on the south-east corner of North West Street and Woodrow Wilson Drive and were in use until 1990 when services were decentralized. James Canizaro who had several works featured yesterday, had designed three buildings that Molitor photographed on the 11th. 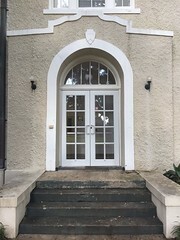 According to the Avery Library Archive they were in no particular order; a “Catholic Church, Colored“, a Jackson College, Dining Hall, and a Civil Court Building. The Catholic Church referred to is the Christ the King Catholic Church on John R. Lynch Street at Arbor Vista Boulevard. 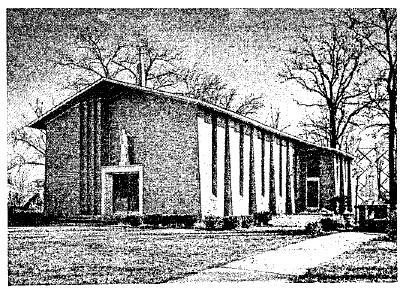 According to their website they are “Jackson’s third Catholic parish, and the second in the city for Blacks.” The sanctuary building was built in 1947. It has been enlarged since the 1954 photographs but the primary facade remains the same. Just down the road east of Christ the King at Jackson State University, back then known as Jackson College, Molitor photographed Canizaro’s B. F. Roberts Dining Hall. This building had been completed in 1953 by the Campbell Construction Co. Canizaro would later renovate his own building in 1965. B.F. Roberts Dining Hall. Photo by UNKNOWN, MDAH, Unknown. 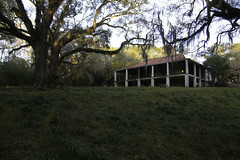 Retrieved 2/8/12 from Mississippi Historic Resources Inventory (HRI) Database. http://www.apps.mdah.ms.gov/Public. 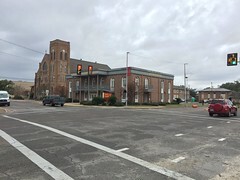 The Civil Court Building referred to in the Avery documents is likely the stripped classical style Municipal Court Building on the corner of Pascagoula and Congress street. Molitor had been at this spot two years earlier in 1952, when he photographed the Abstract Title & Guaranty Co. at 349 South Congress street. 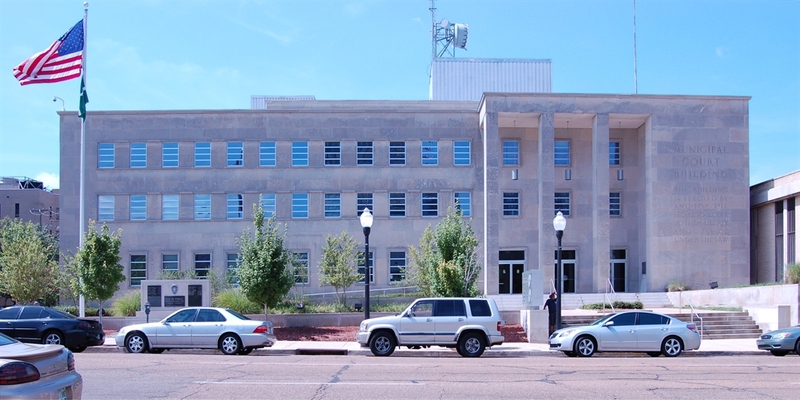 The Municipal Court Building structure was built in 1952 by Flint Brothers Construction Co.
Jackson’s Municipal Court Building Photo by J Baughn, MDAH, 7-11-2008. Retrieved 2/8/12 from Mississippi Historic Resources Inventory (HRI) Database. http://www.apps.mdah.ms.gov/Public. Last but certainly not least Molitor would capture two works by N.W. 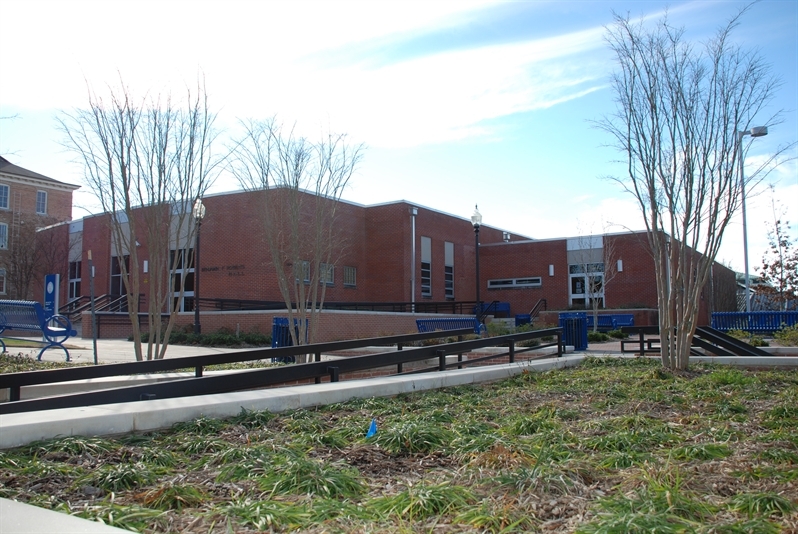 Overstreet; the Gordon Warehouse & Terminal and the Municipal Library Branch. I am not exactly sure where the warehouse and terminal was located. 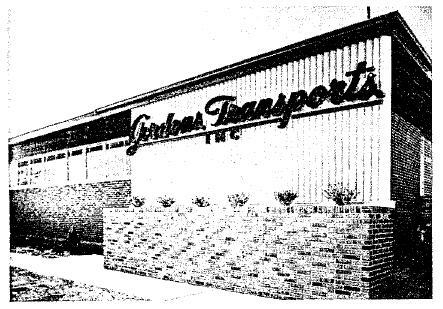 Looking at the sign in the photograph it appears to be the Jackson hub for Memphis-based Gordons Transports, Inc. I am not sure when this building was built or even where it was built. Maybe an astute reader out there is familiar with this place? To get the creative thought process flowing you can check out several great period photos of some Gordons Transports big rigs at this link. That’s a 10-4 good buddy. The municipal library branch was likely the N.W. Overstreet & Associates designed Jackson Municipal Library built by contractors Wetmore & Parman in 1954. You can read more about this building’s recent struggles to find a new use here. Jackson Municipal Library Photo by D. Preziosi, MHT, 5-4-2007. 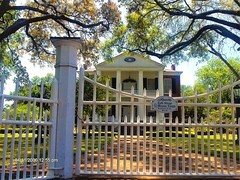 Retrieved 2/8/12 from Mississippi Historic Resources Inventory (HRI) Database. http://www.apps.mdah.ms.gov/Public. Well I hope you enjoyed the photo-trip around the Coast and Jackson with Mr. Molitor. He’s heading off for Alabama next, but don’t worry we haven’t seen the last of him yet, as he makes his third trip to Mississippi in the fall of 1956. The three Molitor posts this week along with last week’s post that mentioned recent past surveys have brought to light that our surveying hasn’t kept up with explosion of building construction in the post-World War II and Cold War periods. Not that the 1950s are exactly recent past anymore, but many folks in Mississippi, and across the U.S. still kind of consider it that way, and our resource surveys reflect that. At least five of the sixteen buildings photographed by Molitor during his 1954 trip have already been demolished and several of the remaining buildings have questionable futures. So as preservationists, what can you and I do? How do we start to do recent past surveys to find the most important buildings? One of the best ways to determine what might be architecturally important is to research what architects of the time thought were the most important and survey them. What we are blessed with is that many records still exist and people from this time are still alive. As the years pass these records and people will become fewer and fewer as do these structures. We do not want to end up with holes in our history, as if the mid-to-late 20th century never occurred. So let’s do our research and survey now and catch some of these buildings before they disappear forever without a peep. I’m glad that you have enjoyed the series. If I am not mistaken, you win the trophy for being the first person to quote Kubla Kahn on the blog! Different generations see things differently. I remember an uncle who would rant and rave about how Elvis was a no talent good-for-nuthin. Now days a lot of folks regard him as one of the most recognizable musicians of the 20th century. You just can never tell what from the past will be valued in the future. You are so correct. We can never tell what from the past will be valued in the future! Your uncle/Elvis story is so funny and true. Some of Elvis’ possessions are now priceless. The King of Rock n’ Roll is alive and well in Tupelo. We love all things Elvis! I’m sure the cupola of the Biloxi Hancock Bank is not what Mr. Coleridge had in mind when he wrote Kubla Khan, but call me crazy; all cupolas on the tops of pretty buildings remind me of that beautiful poem. I like to think Mississippi has three very beautiful toppers Mr. Coleridge would enjoy: Waverly Plantation between Columbus and West Point, Longwood Plantation in Natchez and Riverview’s widow’s walk in Columbus. How many times have I said to myself, “If only I had snapped a photo of that place!” Thank goodness you are finding photographers who didn’t hesitate. Has anyone located the Gordon’s Transports building yet? 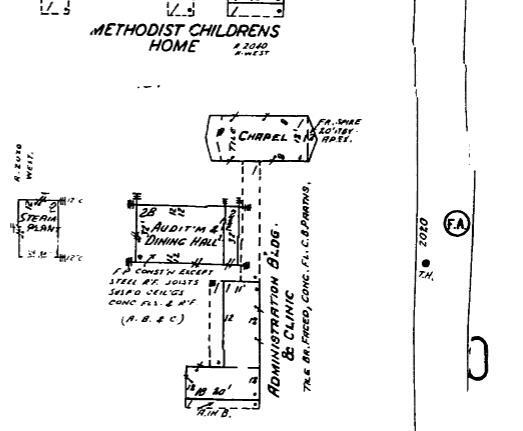 The city directory for 1955-56 has the address as 2659 Livingston Rd. If it’s the building I think it is, the warehouse has a vaulted roof that’s pretty cool and this picture does it no justice. You are the first. Thank you! Its great news to find these buildings still standing. Looking at the building on Google street view I think your right. It looks like the building has lost its cool wood screening that held the sign but other wise looks to be used and in good shape. Do you have any images of the warehouse vaulted roof? I don’t, but you can see it from a couple of angles on Bing’s bird’s eye view or in the Google street view image.